For all exterior wooden timber balustrades, decking boards & staircases. Can be used for ribbed, grooved and especially smooth surfaces. Available on BS4800, BS381c & Ral colour shades. 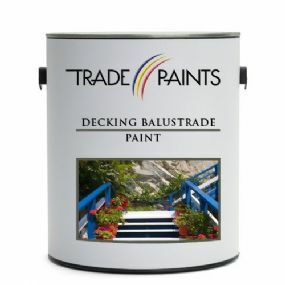 For a anti-slip finish for your garden decking we recommend our Timber Decking Non-Slip Decking Paint.